General public is welcome. Please check-in with division chair upon arrival. Mailing Address: P.O. Box 944, Rifle, CO 81650. 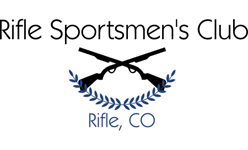 The Rifle Sportsmen's Club is a 501(c)6 non-profit organization.